We meet the 2nd Tuesday of every month at 7:00 p.m. at the Fire Dept. We encourage anyone interested in joining to attend the meeting. 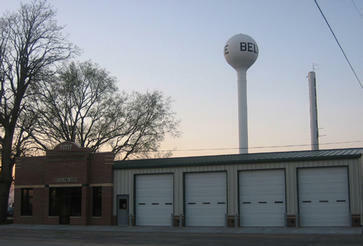 June 2, 1941 was the date when a joint fire department was organized by the City of Belvue and Belvue Township. This department is voluntary although one man was always hired to maintain the truck and one of the City Council members were always designated Fire Chief. Both the City and Township regulated the department.